Two weeks ago I had lunch with a friend. As we were talking, I mentioned that I was preaching that Sunday. Her response was ‘Lent 1, of course the temptation.’ And then she reflected how she had heard a speaker once who connected the temptation and the Lord’s prayer. We pray each week “…and do not lead us into temptation” and yet that is exactly what happened to Jesus after the glorious moment of emerging from the river Jordan at his baptism “You are my Son, the Beloved; with you I am well pleased” (Luke 3:22b). Jesus is led by the Holy Spirit into the wilderness to be tempted by the devil. From that wilderness Jesus emerged into ministry as the Son of God and proclaimed “The Spirit of the Lord is upon me, because he has anointed me to bring good news to the poor. He has sent me to proclaim release to the captives and recovery of sight to the blind, to let the oppressed to free, to proclaim the year of the Lord’s favor.” (Luke 4:18-19). How did Jesus come to that understanding? How did he know what he was called to do? How did he know how to be the son of God? It appears formation happened through temptation. Jesus worked out his calling in the wilderness where he was tempted to falsely use his power and his role. Jesus’ calling is for the sake of the poor, the captives, the blind and the oppressed. But the devil tempts Jesus to use his power as Son of God to serve his own needs and self-centered desires by satisfying his own hunger, by using his ruling authority and seeking to proof his invulnerability. Wilderness time is a time to sort things out. The wilderness was a place where Israel itself was birthed as a people, where habits formed by slavery in Egypt were discarded and new ways of complete trust in God were formed. The wilderness was a place where prophets like Moses and Elijah began their ministries, where John the Baptist was nurtured, where the Word of God came to him and where he began preaching. The Wilderness is a place that Jesus withdrew to after a flurry of activities, a time of healings and teachings, to be restored, re-centered, renewed (Luke 4:42) and a place to pray (Luke 5:16). Lent gives us the opportunity to enter the wilderness of our lives, and examine where we are tempted, ask ourselves what stones do we turn into bread, how do we satisfy or ease our hunger, who do we worship and serve, and where are we tempted into invulnerability? The questions in our lives remain: When are we ever famished? Or better, when do we ever stop long enough to notice that we are actually famished? Our lives are too full, too busy creating their own kind of wilderness. What if for forty days we would turn our busy lives into empty spaces? What if we found one way to simplify our lives, create space, turn off what fills up our time in meaningless ways and turn to God. Forty days to stop and pause and really look and see who and what diverts us from becoming who God calls us to be. What keeps us from following God’s vision for our lives? Let us remember who we are as a people of faith, not what we are to do, but who we are and how we are connected to God. And that is what Lent is all about, the transforming power in remembering, repenting, reconnecting to God, the source of all life. 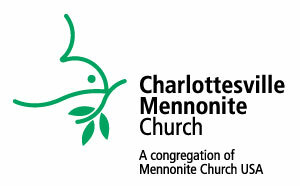 Maren Tyedmers Hange has served as co-pastor of Charlottesville Mennonite Church for 14 years after spending 5 years in the Middle East under Mennonite Central Committee. She is a graduate of Anabaptist Mennonite Biblical Seminary. She loves to travel, play board games, read widely, and roast coffee. This entry was posted in Church Year, Jesus, Lent, Spiritual Formation. Bookmark the permalink.